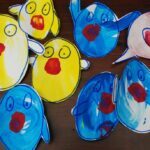 Can you tell that we are excited about SPRING!!!! 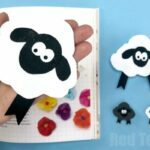 And yes, this year Easter only just around the corner so it is time to get some lovely Easter Crafts prep in there. 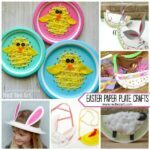 We adore these super simple Paper Plate Basket for Easter ideas – one paper plate – two different craft takes on it. 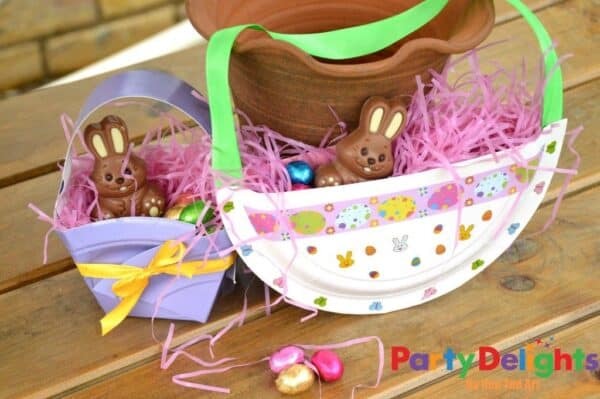 We find that the little basket is great for “older kids”, whilst younger ones will adore decorating the paper plate “purse”. 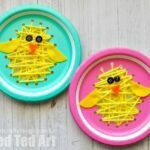 Once done, use them on a mini egg hunt or as a table decoration. 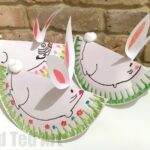 We have been exploring LOADS of different paper plate crafts recently – a fabulously versatile material for crafting and these Easter Baskets Paper Plates are just too adorable! 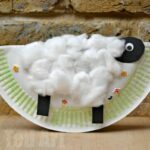 Paper plates, whether leftovers from a party, or found in the back of your cupboard, are so easy and inspiring to craft with… Available in so many colours and patterns, although the plain white ‘classic’ paper plate lends itself well to many applications! 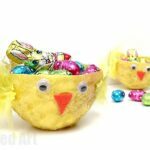 These little Easter Baskets made from Paper Plates are too adorable and very easy for the youngest crafter to enjoy making, and filling on their Easter Egg hunts this year. 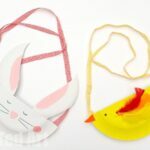 For easy to follow instructions check out my guest post over on Party Delights!